Ever felt the need to inspire the masses? Spark innovation? Start a revolution? It’s your time to shine, because TEDxUBC is here to give you a platform to talk about yourself to hundreds of people without feeling bad about it. TEDx UBC, formerly Terry Talks and organized by Project Terry, gives the UBC community a chance to discuss their passions, important global issues, life-changing events and so much more. Just take a trek down the rabbit hole of Terry’s older talks and you’ll be inspired by past speakers’ incredible ideas. So why not take the opportunity to share your knowledge, network with others who have brilliant ideas and open up discourse on cross-disciplinary topics, and fruitful debate? To sign up, you need to prepare a roughly-one minute video showcasing your public speaking style and ability engage with an audience. This can be shot on a professional video camera or a trashy cereal box gift webcam, it doesn’t matter. 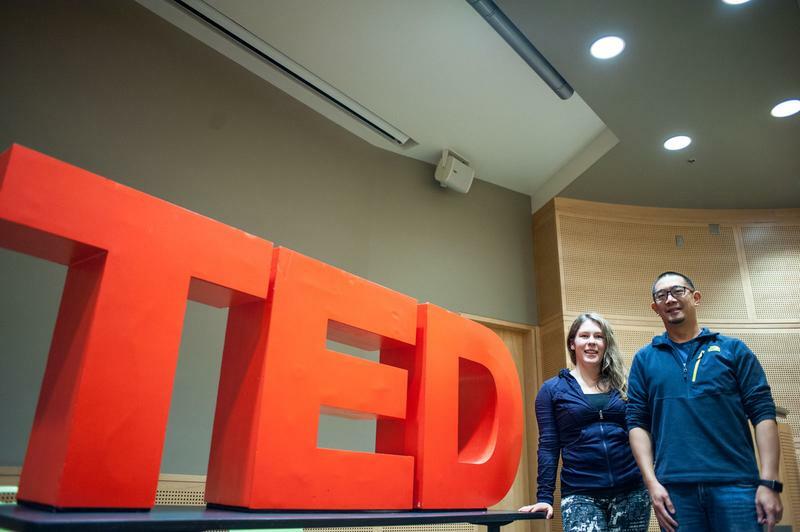 There are sample videos on the TEDxUBC blog to help limit your anxiety, if you have any. You will also have to write a short proposal describing what you want to talk about, but overall the two-step process is quite easy. You are also free to add essays or a resumé to support your application. The deadline to apply is December 15. Onward my fellow change-makers! Go talk about anything you like, be it sustainability, global economics, relationships, food, near-death experiences, your dog Harry Potter, or anything at all. Some UBC related topics could be campus infrastructure, your favourite profs and their education style, building a new social circle or the multicultural environment at North America’s most international university™.